What is septic system rejuvenation? Rejuvenation is the process of bringing your tile bed back to life. In the same way a surgeon utilizes a stent to regain blood flow to the heart and bring a patient back to good health, we revitalize your tile bed by restoring the flow to it’s veins. What is the septic system rejuvenation process? After evaluating the system to determine viability of treatment, with minimal excavation we expose and reveal the tile bed header where high pressure water is used to flush the tile system and remove multiple years of the buildup under vacuum pressure. The buildup we remove can cause your tile bed to fail or operate ineffectively. After this one day process is completed we backfill to grade and treat the system with a proprietary formula of injectable enzymes and bacteria that will breakdown bio-mat buildup that prevents proper percolation in the system in order to regain flow capacity. 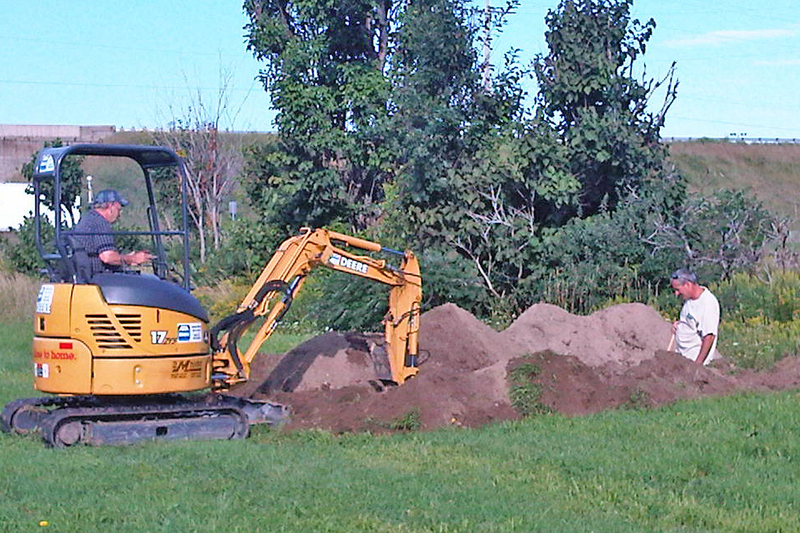 What septic systems need rejuvenation? Typically a septic system lasts 25 years when installed and maintained properly. Across our region, many septic systems are older installations. We are finding more systems are failing because of general aging and lack of care. Rotted baffles allow scum to enter the system, lack of pumping and cleaning over the years causes excessive solid buildup that creates an unbalanced system. 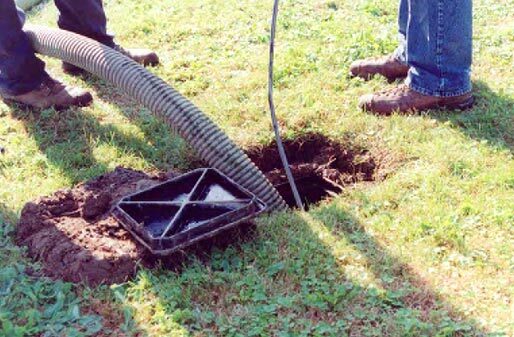 The rejuvenation cleaning process is a viable alternative to replacement or repair of the entire septic system. We encourage you to speak to a Specialist at Pump My Tank to do a complete evaluation to determine if your system is a candidate for this process. 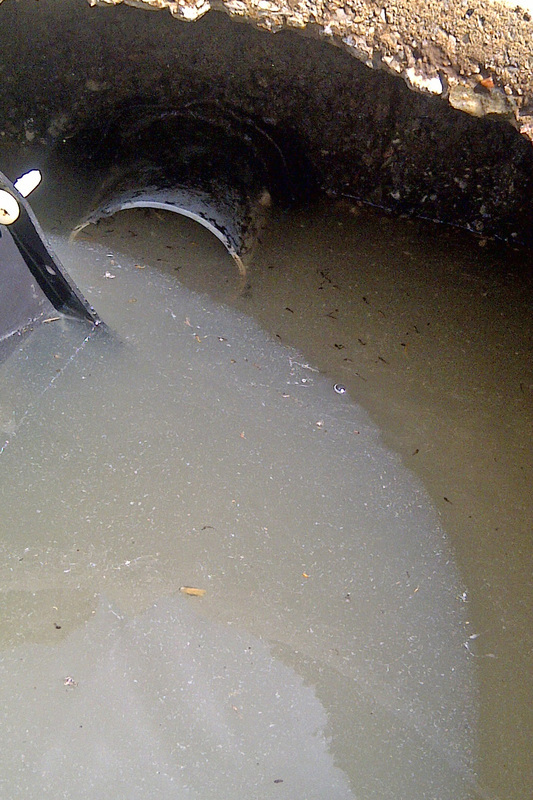 Over time a septic system can accumulate bio-solids, garbage, waste, grease and other pollutants in the drain-field. This can happen through misuse of the system or other environmental factors. We receive calls from residents of Barrie, Innisfil, Newmarket, Bradford, Oro, Essa, Angus and all over Simcoe County and York Region who are experiencing septic system failure. Repairing an ineffective septic system is something we are passionate about. We first inspect the various components of the system to diagnose any potential equipment problems. Previous to availability of advance bio-remediation technology, most owners had no choice but to replace the entire drain field. But today homeowners are fortunate enough to have alternatives. 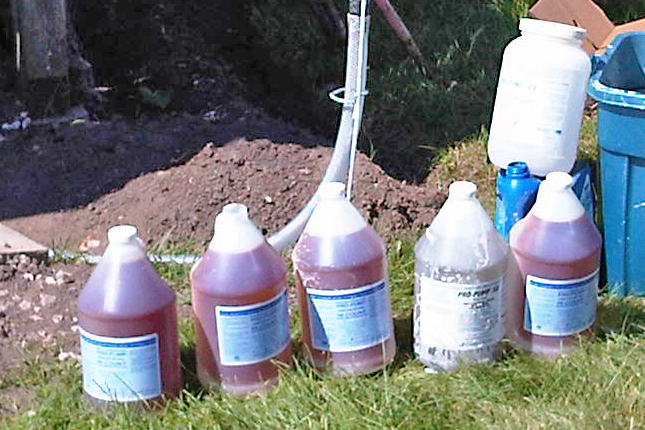 With the careful use of these advanced microbiological solutions we are able to restore aging septic systems by breaking down and dissolving the solids found in a clogged drain field. Pump My Tank has the solution for your broken or damaged septic. Pump My Tank uses PRO-PUMP® (Environmental Laboratories Inc.) remediation products as we believe they are the industries best and most trusted source for bio-remediation technologies. System recovery by bio-remediation involves the addition of select microorganisms, nutrients and micronutrients to speed the biological degradation process and reduce the organic matter contained within the bio mat. This technology is well known, with over 70 years of documentation, and has been utilized extensively to resolve industrial related pollution problems in soil, ground water and contained waters. 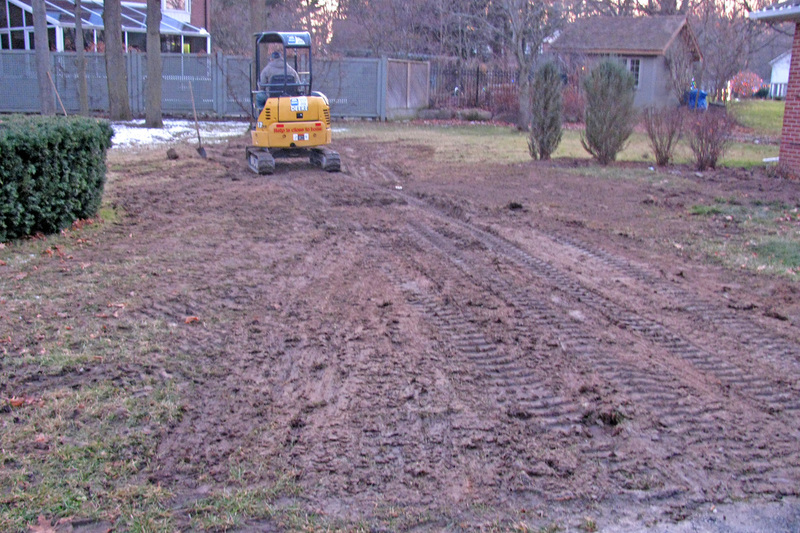 When bio-remediation techniques are properly applied, microbial remediation offers exceptional performance in the recovery of heavily fouled soil, drain fields and filter beds. PRO-PUMP® cultures and the enhancement technologies provided in the PRO-PUMP®/ Bio-remediation Kit are capable of the rapid break down and biological oxidation of the slow-to-degrade organic compounds contained within the expanded bio mat. These rapid biological oxidation reactions are performed under the anaerobic conditions that exist in the fouled absorption systems, resulting in an overall reduction and removal of organics within the fouled absorption systems. The PRO-PUMP® recovery process is designed to effectively increase the rates of biological oxidation in the anaerobic environments that occurs as a result of oxygen depletion within the bio mat. The anerobic environment is due to the high levels of organic matter and the corresponding oxygen up-take rate, i.e. via microbial aerobic oxidation of waste solids in the bio mat. 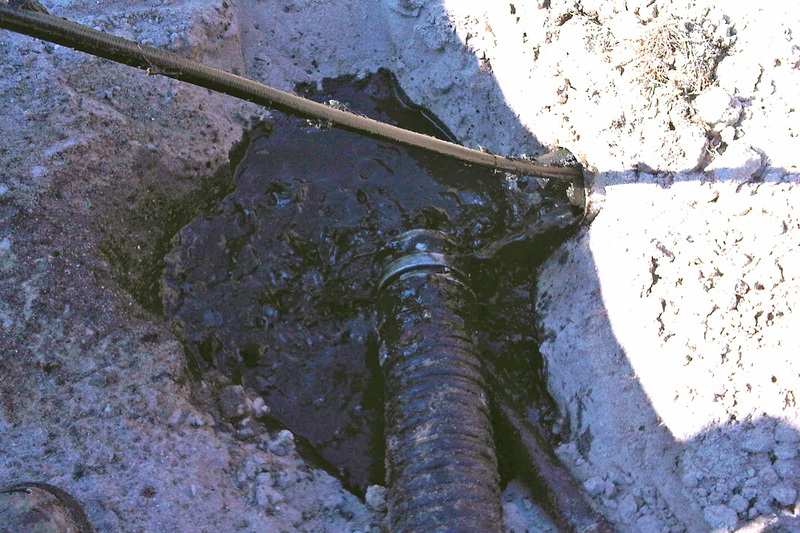 Our PRO-PUMP®/Bio-remediation Kits are designed specifically to recover flow in fouled and ponding absorption fields. The products are a special mixture of select, live, vegetative bacteria that will break down and remove slow and difficult to degrade compounds that often result in absorption field failure. The treatment is designed to reduce BOD, COD, total suspended solids, treat phenolic wastes, biodegrade hydrogen sulfide, and other various pollutants that make your septic system unable to function properly. Over 90% of the bacteria contained in treatment are facultative in nature and work aerobically and anaerobically. This bacteria is non-toxic, non-pathogenic and safe to people, animals and plants. Call Pump My Tank with your questions today we are able to assist you with all your septic system related needs. High pressure wash and vacuum. We use specially formulated kits depending on the size of your home or business. 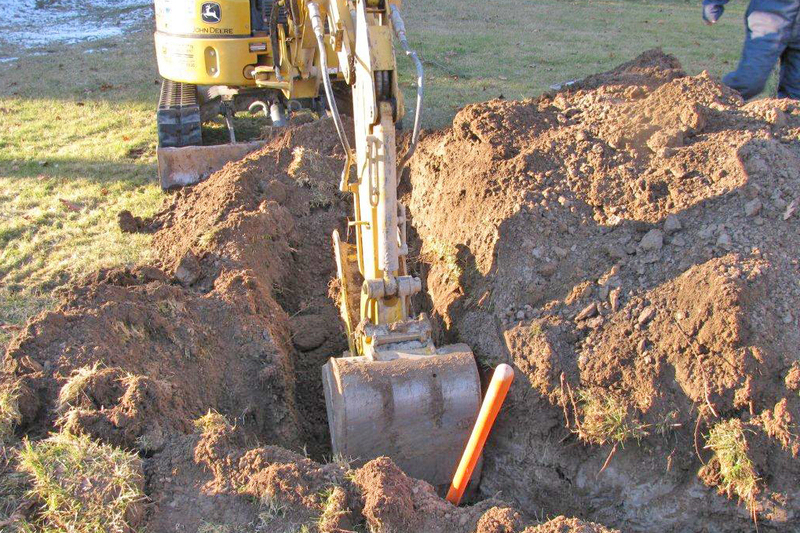 Septic pumping and inspection of equipment is the first step in remediation. These slow-to-degrade organic compounds are most difficult for soil microorganisms to break down and degrade so they accumulate in septic tanks and within the bio film that develops naturally on and within the absorption field media. To compensate for this build up of organic matter, the bio film expands its polymer structural components to meet the organic loading rate. This results in the development of an expanded bio film termed an anaerobic bio-mat. Bio-mat development is caused by an increase in microbial polymer structural components that represent the assemblage of the bio film that is necessary to store these difficult to degrade organic compounds. These polymer reactions (assemblage) store the slow steady build up of waste organic matter within the bio film, resulting in absorp- tion system flow capacity loss. 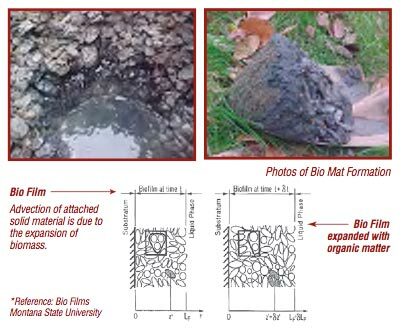 The rate of bio mat development and the degree of bio mat thickness is in direct proportion to overall microbial populations and their degradation function and capabilities. The inadequate microbial response to these slow-to-degrade compounds results in the accumulation (buildup) of slow-to-degrade organic compounds within the absorption field bio film. The absortion field media (gravel and other media material) functions as the primary site for biological bio film growth. The bio film provides a structure to achieve the process of microbial removal of collected organic waste matter. As the bio film collects more and more slow-to-degrade organic matter the oxygen up-take rate is increased to a point where aerobic capacity is exceeded (lost), and the field converts to anerobic respiration. The anerobic process being much slower in degradation rates, results in an increase in the amount of organic matter contained within the bio film. This collection process continues until absorption flow is lost due to excessive anerobic bio mat formation. Bio mat growth reflects microbial capabilities and any reduction in necessary microbial population or activity within the bio film. 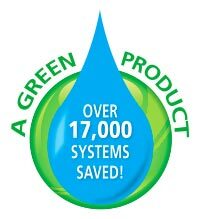 This impacts bio film performance and leads to organic collection. These combined factors greatly impact bio film growth and field flow loss. This may be summarized as the inability of existing microorganisms to degrade some organic compounds fast enough to meet the organic loading rate to the absorption system. With this understanding, solving the problems biologically may not be as difficult as once believed.